Welcome to Fulshear Dental! Whenever you visit our office, please know that your goals and your comfort will always come first – no exceptions. Our team is devoted to providing exceptional clinical care and customer service from every angle, maintaining high standards of quality while also keeping a conservative, ethic mindset at the forefront. 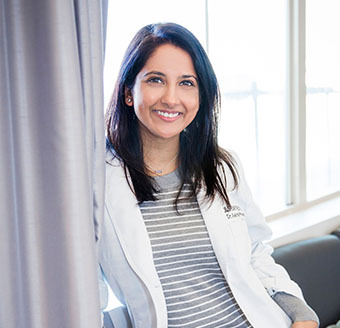 Dr. Aekta Fifadara has been working in the oral healthcare field for nearly a decade now, and she loves helping neighbors and families here in Fulshear smile brighter! Our practice also serves the surrounding areas of Simonton, Brookshire, Richmond, Weston Lakes, Katy, and beyond. If you have any questions or would like to schedule a first appointment, don’t hesitate to contact us today. If you’d like to learn more about what makes us truly special, keep reading below! Contrary to popular belief, visiting the dentist’s office doesn’t require having to miss an important week meeting or pulling your kids out of school. Our practice strives to make this important care as flexible as possible so that your busy routine remains as safely intact as possible. Fulshear Dental is open as late as 7:00pm on Wednesdays and Thursdays, and Saturday appointments are even available as well! Far too often, dental practices try to push their patients into accepting overblown services that aren’t truly needed. At Fulshear Dental, we take pride in our straightforward, completely transparent care approach. 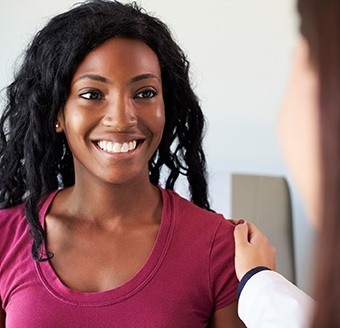 Behaving ethically is important to us, which is why Dr. Fifadara only recommends services after first taking the time to understand what the patient needs and what they can afford. All cost information is provided before any further appointments are scheduled too! We understand – the thought of visiting the dentist’s office makes many people not want to get out of bed. While our office may not be your favorite place to spend time, we go the extra mile to make sure your experience as pleasant and welcoming as possible throughout each appointment. Patients are taken care of from head-to-toe by our empathetic staff, with every concern addressed and every need satisfied. Our goal is to help you feel genuinely comfortable in the treatment chair so that you can work towards a healthier smile in the smoothest way imaginable. 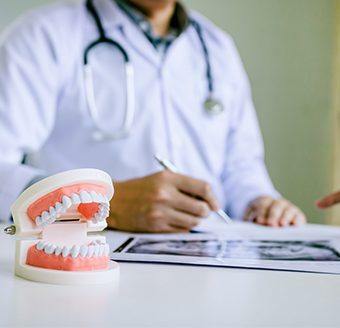 Many people struggle to keep up with routine dental checkups because they’re worried about being made to feel bad for any signs of damage or decay. Unfortunately, this can lead to those very same problems becoming worse and worse over time. Dr. Fifadara strongly believes in practicing dentistry that is based around kindness and support, not unfair judgment. She can help you understand how issues happen in the first place, how to correct them, and how to prevent them in the future as well! Don’t worry – you’re going to be treated amazingly here. Although Fulshear has grown considerably over the last few years, it still has a warm, small-town feel that our team loves being a part of every day. 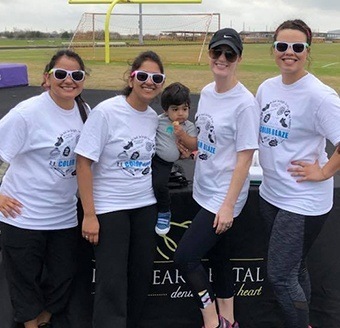 We’re always looking for new ways to get involved in local events throughout the community, supporting good causes and simply getting to know our neighbors and patients better! Inspiring new reasons to smile is important to us, both within the practice and outside its walls.